Battery Operated Rickshaws have been popular since 2008 actually as a substitute to auto rickshaws because the later create pollution, as well as the cost of fuel, is a lot. While the battery operated rickshaw, on the other hand, run on battery as well as is eco-friendly. Searching the web – According to the recent trend, it is seen that most of the things people verify from the websites and then opt to buy things. In the same manner, it is also important that you must check the company’s details from the website before buying one. Also, check whether the spare parts of the battery rickshaw are available from the same dealer or manufacturer or not. 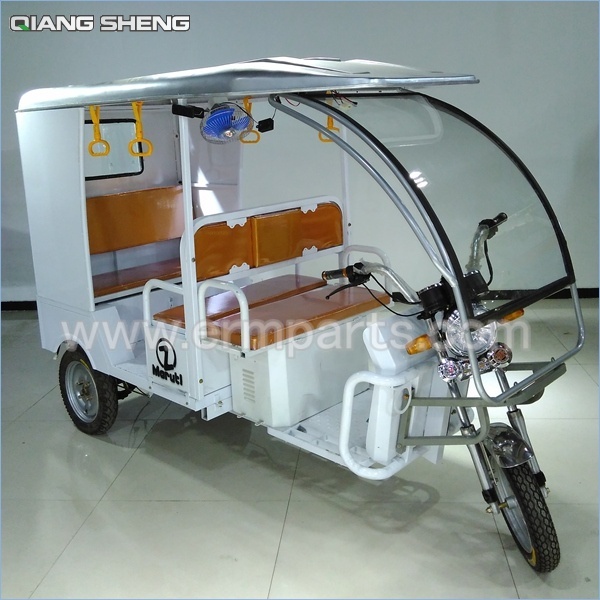 It is important that you choose a manufacturer that will provide you with the rickshaw just to your door step. Compare brand reputation – Another important thing which you must do is to compare the brand reputation in the market. It is advisable that after you search the web and make a list of all the manufacturers the next thing which you should do is to compare the existing reputation of the brand which means how they are selling the rickshaws as well as their policies. Battery – One of the most important parts of any battery wala rickshaw is to look into the structure and components of the battery. It is important that you always see that your battery should be a branded one because below standard one might fail to provide you the right assistance at every place. Also, choose a company that provides you with the standard warranty on the battery Moreover; opt for the companies whose batteries are tested because there are many such companies found in the industry. It is important that buyers by themselves check the motor of each and every e-rickshaw physically. Never forget to read all kind of reviews and testimonials which are available in the brochure as well as on the website to gather information about the company. Customer Service – It is better that once you have gone through the website of the competitive brand you must also speak to their customer assistance before visiting their company. It will also help you to directly speak to them about the existing terms and conditions of the company. Can any be a partner of Indian to manufacture erickshaw in India near Delhi in NCR area? Any condition of partnership? This is Albert Cui, from China. Pls add my whatsapp, then we can talk details.